CBE caught up with the CEO of Grupo Flor (GF), Paul Henderson, to learn more about the company’s strategy and game plan for grabbing a significant piece of the revenue pie under California’s new Medicinal and Adult-Use Cannabis Regulation and Safety Act (MAUCRSA) program. Henderson, as unlikely a cannabis business executive that you will find based on his early years as a Mormon missionary in Brazil as well as time spent gaining meaningful training and work experience at Goldman Sachs, GE Capital, (with his MBA at Carnegie Mellon sandwiched between those stints), and Apple, joined the GF team last summer. GF, the parent holding company, was founded back in 2015 by a group of friends that brought a variety of non-cannabis and cannabis experience to the Salinas, CA based company. The founders include the Bitar brothers (Mike & Omar), cannabis lawyer and entrepreneur Gavin Kogan and his law school friend, Stephen Kim, and they used their combined experiences in commercial real estate, cannabis law, ag technology to work with local Monterey county government (Henderson tells CBE that the founding team contributed heavily to the county’s cannabis regulatory system) in their efforts to become an important part of California’s emerging regulated cannabis market. The team set out to build what Henderson calls a cannabis eco-system player that will not only be fully integrated in the production, processing, retailing and distribution areas of the MAUCRSA program but that is also generating revenue streams from their commercial real estate portfolio but also eventually in a leasing/financing business (Ag Pistil) helping other licensees manage the acquisition of the high ticket capital expenditure items required to compete in the space. They also are interested in using their expertise to create an acceleratorwith accreditation for plant touching cannabis businesses. Omar heads-up the nursery and cultivation activities, Mike all aspects of sales, Gavin the marketing and promotion side and Stephen is the team’s General Counsel. GF currently owns and leases 2.6 million square feet (sf) of commercial space in Monterey, CA, 2.2 million sf of which it sublets to c annabis related tenants. They generated $6 million in revenues off of those properties in 2017 and the equity and revenues derived from those properties created their initial capital base. After offering attractive rates to attract tenants in year 1 of occupancy, market rates will apply moving forward increasing cash flow from their real estate holdings. The remaining 400,000 sf of commercial space houses a nursery, greenhouse grow, indoor grow, processing area and eventually their first retail outlet (scheduled to launch in April 2018) of 5 currently planned East of Eden dispensaries. GF plans on building out at least 3 dispensaries in 2018. The company currently has 27 local licenses and 21 state licenses as required by MAUCRSA. 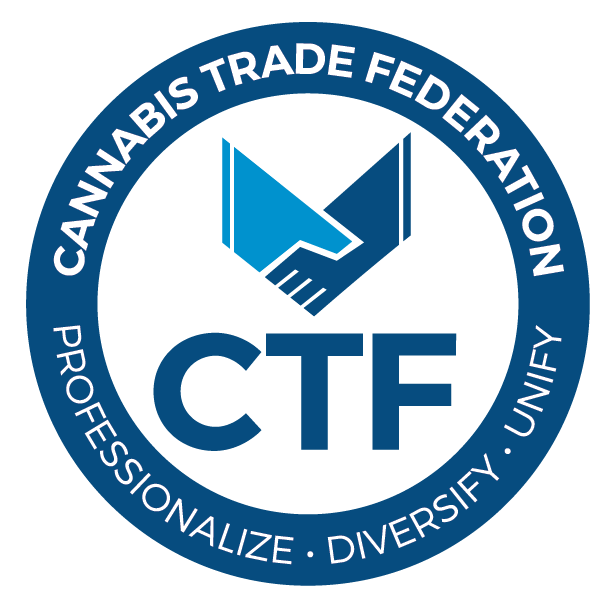 In addition to wholesale flower, clone and dispensary revenues, GF is also licensing and distributing whitelabel concentrates under the 710 Combinator/Manufacturing and FlorX Distribution business units. GF’s licenses will allow them to sell products anywhere in the state, but their 2018 focus will be on the Bay Area, Sacramento, Monterey County and San Diego areas (where most of the state licensed dispensaries are located). To date there are ~250 state licensed dispensaries in CA and the sales and marketing team are working on building relationships/outlets for the products they are licensed to produce and distribute as well as the dedicated East of Eden locations that they will have first in Monterey and then around the state. They are not selling to any of the estimated 4,000 plus existing non-licensed dispensaries that existed in the state prior to 2018. To finance the additional buildout of cultivation, distribution and retail outlets, GF is currently in the middle of a $5 million Series A raise that Henderson says is roughly 50% filled. Although currently profitable, the management team decided that 2018 represents too big a window to be missed and moved forward with the raise to take advantage of the opportunity. Back in summer of 2016, Henderson thought that he would join a tech start-up after leaving Apple but was recruited by the owner of a cannabis company, Indus Holdings, to join them as their CFO. After a year there, he launched a cannabis consulting business to leverage his experience in finance in the cannabis space. One of his first clients was Mike Bitar and after a 4-week assignment working on the GF financial plan proved fruitful, by August of 2017 GF had hired him as CEO and added the balance of their current operating management team. So, Henderson, a self-described “roll-up your sleeves go-getter” kind of guy and the founding team and new management team at GF are doing just that as they execute a plan to become one of the Golden State’s major cannabis industry entities. CBE looks forward to following-up with the Group Flor team at the end of 2018 to see just how far they have come. Market Strategy/Goal: Survive the transition to regulation. Use each business unit as a shock absorber as laws and regulations change. We’re built for stability in the changing landscape. Expansion Plans: Focused on CA at the moment. Launching a major indoor cultivation project in Salinas, CA. Also expanding aggressively into southern CA with distribution and retail. Financing strategy: Founders have contributed all capital until recently. Grupo Flor is currently in the middle of a Series A equity round to fuel expansion plans.